Johnnie To is running out of bullets. Unless something like BREAKING NEWS makes a surprise run, Hong Kong’s genre kingpin has only two more chances to make this list, and RUNNING OUT OF TIME is one of them. This Andy Lau + Lau Ching-Wan team-up was a seminal Milkyway Image film because A) it lightened up the studio playbook beyond darker, edgier fare, and B) it was very successful financially. Its mixture of commercialism and genre cool obviously made a difference, because RUNNING OUT OF TIME has proven more popular than nearly every film in the Johnnie To canon, including his more-traveled hits like EXILED and ELECTION. Maybe its the combo of genre elements and actors like Andy Lau and Lau Ching-Wan, who mix acting skills with larger-than-life star power. Danny calls RUNNING OUT OF TIME “One of the best cat-and-mouse crime films ever made. The two-minute car crash scene is wonderfully shot, not to mention the beautiful and ambiguous ending. Plus, the soundtrack is just epic!” Followed by the sillier but still underrated sequel RUNNING OUT OF TIME 2, which stars Lau Ching-Wan and our pal Noodle. Ranked #6 on our list of TOP HONG KONG MOVIES OF THE 90s, which is really high. But not as high as one other Johnnie To film. Yes, this is a Wong Fei-Hong movie, but we doubt anyone really thinks “Wong Fei-Hong, Chinese folk hero” when they watch DRUNKEN MASTER II. Rather, they think “Jackie Chan” and “OMG WTF BBQ did Jackie just do that?” Paul B. says that DRUNKEN MASTER II is “The culmination of everything that was cool and crazy in Hong Kong cinema in the nineties, with Jackie Chan at his best.” In action cinema history there hasn’t been anyone like Jackie Chan and there will likely never be anyone like him again. We can cry about how Jackie is old now, or how he’s been outed as a toadying loudmouth — the man has crappy politics but his creativity and skill in putting together fast-paced, intricate action and comedy is unparalleled, and DRUNKEN MASTER II combines those elements better and to more audience-pleasing effect than the majority of Chan’s filmography. Also memorable are appearances by Anita Mui and Lau Kar-Leung, plus there’s Andy Lau in a one-second cameo that accomplishes absolutely nothing. But hey, he’s Andy Lau so it’s the greatest one-second of absolutely nothing ever. 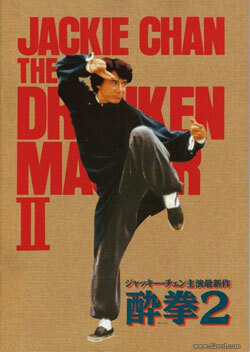 DRUNKEN MASTER II ranked #5 on our list of TOP HONG KONG MOVIES OF THE 90s, which sounds about right. Too bad about its shoddy home video availability. Seriously, anyone want to release an English-subtitled Blu-ray? Please? Overwrought, hyperemotional and just plain excessive, BULLET IN THE HEAD still packs a punch even twenty years later. John Woo’s Vietnam-set DEER HUNTER + APOCALYPSE NOW + pseudo-BETTER TOMORROW prequel is a kick to the gut that’s pure Hong Kong Cinema and pure John Woo. San Te calls the film “Powerful and emotional. Not the best Woo movie in terms of action (although there is plenty), but the acting is superb. The trio of lead actors knew what they were doing.” Martin offers a number of soundbites on BULLET: “Raw anger and emotion in celluloid form. No other film has been responsible for so many of my tears. Woo violence without the Woo sheen. A superb “Little” Tony and a courageous Jacky Cheung provide the heart in the darkness.” Featuring Waise Lee as the overacting crappy friend and Simon Yam in the Chow Yun-Fat role as super-cool hitman Luke. Kind-of-remade as the disappointing John Woo-produced BLOOD BROTHERS, proving once again that new is not always better. 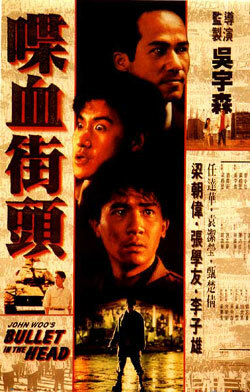 BULLET IN THE HEAD ranked #4 on our list of TOP HONG KONG MOVIES OF THE 90s. Filipe says, “For the first time Wong Kar-Wai was allowed to be Wong Kar-Wai and the sense of discovery in this film is something he would keep trying to achieve again.” Previous to DAYS OF BEING WILD, Wong Kar-Wai made the well-received and commercially-successful AS TEARS GO BY, so he was given carte blanche on this project — and the result was miles and miles of film shot, a commercial failure, and a masterpiece that will likely last generations. While the cult of Wong Kar-Wai may have started with AS TEARS GO BY, this was the first film that was pure Wong Kar-Wai top-to-bottom, and it spawned more imitators and wannabes than one could care to mention. When he arrived, Wong Kar-Wai was a singular voice, and modern Hong Kong Cinema is in desperate need of a similar revelatory figure. But the appearance of a unique Hong Kong filmmaker like Wong Kar-Wai may never happen again, just as the Golden Age of Hong Kong Cinema will likely never repeat. We can only hold onto films like this as the precious gems that they are. DAYS OF BEING WILD ranked #9 on our list of TOP HONG KONG MOVIES OF THE 90s, which actually is probably not high enough. There’s good and bad in seeing THE MISSION rank this high among THE BEST HONG KONG FILMS EVER. It’s good because #11 is a very high spot, but it’s bad because it means Johnnie To gets left out of the Top 10. That’s unfortunate for such a popular and revered filmmaker, but legends are created through time, and Johnnie To is still a relatively new presence among Hong Kong Cinema’s masters. To may have masterpieces left to offer and until then, we’ve still got THE MISSION. Valerie Soe calls the film “The ne plus ultra of triad brotherhood movies, with the brilliant casting of all the bad boys of Hong Kong Cinema as its protagonists. No popstars here, just impeccable acting showcased by Johnnie To’s poetic, minimalist direction.” Martin calls it “A filmmaking masterclass from Johnnie To, who really came of age with THE MISSION. 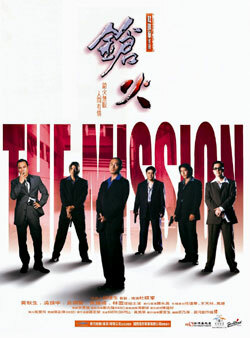 A great ensemble cast deliver perfect characterizations in and around the incredible stillness of the stand-and-deliver shootouts and trademark Milkyway Image ironic cool.” THE MISSION ranked #3 on our TOP 100 HONG KONG MOVIES OF THE 90s, so #11 may seem a little low. Maybe the nineties need a little time to be considered quite as good as the eighties. Wow, we’re down to the Top 10. Please go ahead and guess which Wong Kar-Wai, John Woo or, uh, other person movies are next. You know those two guys own the majority of what remains — the question is simply who ends as the last man standing. Numbers 10-6 are next. See you then. This entry was posted on Sunday, January 6th, 2013 at 8:31 pm	and is filed under Best Hong Kong Films Ever, Reader Votes. You can follow any responses to this entry through the RSS 2.0 feed. You can skip to the end and leave a response. Pinging is currently not allowed. Fei Zhu: I think THE KILLER will be higher on the list, it had much more 1st place votes on 80s list than A BETTER TOMORROW. A top spot contender for sure. And hey, Top10 is dominated by 80s movies (5 out of 10), I didn’t see that coming. Nice job, Nick! The order is wrong, but the films you picked for numbers 6-10 are dead on. The Mission is a great example of story telling, as the movie,virtually nothing much happens but how can that be so entertaining?